The study, which is based on more than 37 million data points, described an “optimistic” story for VW owners. Analysts determined nominal vehicle value has decreased an average of $2,017 since the scandal, which is far less than the $5,100 to $10,000 owners will receive in settlement reparations payments alone. Furthermore, Autolist.com found that expected prices for scandal and non-scandal vehicles have recovered to 4.8 percent and 1.5 percent below expectations, respectively, up from March lows of 7.4 percent and 2.8 percent. However, despite the price stabilization and potentially rich payout, analysts pointed out that VW vehicles are still not selling at the market rate. Autolist.com indicated time on market is at record highs, with scandal and non-scandal vehicles at 189 percent and 31 percent above average, respectively. 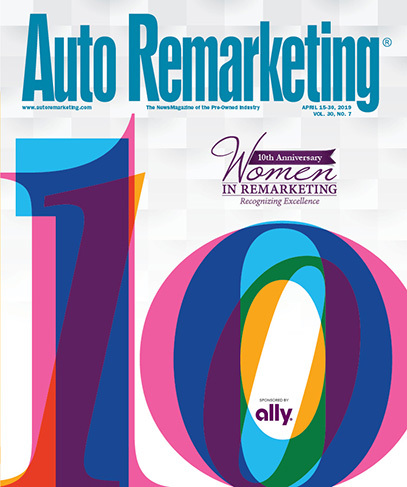 Autolist.com analysts pointed to brand perception damage and the lack of a viable fix for the scandal-affected vehicles as the primary drivers for the slow used sales. “So while owners may ultimately have a chance to unload their cars and come out ahead, it may be a little while before a buyer comes along willing to make the purchase,” Autolist.com said. While dealerships will be handling the major chores if VW diesel vehicle owners want a different model, Diesel Technology Forum executive director Allen Schaeffer explained the impact stemming from another part of the settlement — the $2.7 billion mitigation trust established that’s meant to reduce excess emissions of oxides of nitrogen (NOx). “Today, the most proven, available opportunity for mitigating excess emissions of NOx comes from the accelerated turnover of older heavy-duty trucks, buses and off-road machines and equipment to newer technology clean diesel models. The newest generation tractor-trailer sized trucks have 95 percent fewer emissions of NOx compared to models built before 2010 while a 2014 model year large construction machine — such as an excavator— yields a 99 percent reduction in NOx emissions relative to a previous generation of equipment,” Schaeffer said. “A commercial Class 8 truck manufactured since 2010 typically traveling 125,000 miles per year would save 875 gallons of fuel and reduce NOx emissions by 1.1 metric ton compared to older models. In addition to the proven clean air benefits, the new technology clean diesel engine would save the trucker $2,400 annually (at fuel prices of $2.75 per gallon), and result in 8.9 fewer metric tons of carbon dioxide (CO2) emissions,” he continued. A recent study by the Martec Group for the Diesel Technology Forum showed that nationwide, from 2011 to 2015, compared to pre-2010 engines, new technology heavy-duty clean diesel engines that power commercial vehicles have removed approximately 7.5 million tons of NOx. Schaeffer computed these savings are equivalent to the NOx emissions from all light-duty vehicles generated over a two-year period. In addition, he added the CO2 savings are equivalent to removing 6.1 million light-duty vehicles from the road for an entire year. “The rate of adoption of the newest technology clean diesel truck engines is progressing well but ultimately depends on economic and business conditions,” Schaeffer said. As of the end of 2015, about one-quarter of all commercial vehicles (GVW 3-8) on the road are the newest generation (2011 model year and newer) clean diesel technology vehicles, according to Diesel Technology Forum analysis based on IHS Automotive 2015 vehicles in operation data. “Accelerating the turnover to the new technology clean diesel engines will achieve substantial NOx reductions. Significant air quality benefits will accrue to communities across the country if more of these older commercial vehicles are replaced with new or newer diesel engines,” Schaeffer said. Schaeffer also mentioned the VW settlement also provides some portion of the mitigation funding for the Diesel Emissions Reduction Act (DERA) program for eligible projects that encourage the owners of older vehicles and equipment to purchase new or replace older engines with newer technology. “The DERA program has a proven record of successfully modernizing and upgrading older vehicle engines and equipment in communities across the country,” he said. Schaeffer closed with one more point. “The diesel engine is the most energy efficient internal combustion engine. It is a proven technology and its unique combination of efficiency, power, reliability, performance, low-emissions and suitability for using renewable fuels ensures a place for diesel technology to help meet the demands of a global economy,” he said. “Consumers will continue to find the new generation of clean diesel cars, trucks and SUVs a competitive choice to meet their personal transportation needs, and clean diesel technology is a key strategy to achieving current and future energy and climate goals,” Schaeffer went on to say.